Danni Laura: What I've Been Reading: December 2017. What I've Been Reading: December 2017. Another month, another lot of books. Despite the month, I didn't delve into any festive novels and the majority are thrillers. Apart from one author who I'm a big fan of, the rest were all new to me and I was really impressed. I'll definitely be adding some other novels by the same authors to my to read list! December was a month dedicated to British authors, in fact the whole of 2017 was a year where I discovered some great authors from my home country. "She's a friendly voice on the phone. But can you trust her? The people who call End of the Line need hope. They need reassurance that life if worth living. But some are unlucky enough to get through to Laura. Laura doesn't want them to hope. She wants them to die. Laura hasn't had it easy: She's survived sickness and a difficult marriage only to find herself heading for forty, unsettled and angry. She doesn't love talking to people worse off than she is. She craves it. But now someone's on to her- Ryan, whose world falls apart when his pregnant wife ends her life, hand in hand with a stranger. Who was this man, and why did they choose to die together? The sinister truth is within Ryan's grasp, but he has no idea of the desperate lengths Laura will go to... Because the best thing about being a good samaritan is that you can get away with murder." This was such a good introduction to John Marrs. I'll admit it took me about a week to get through this as I did need a few breaks from it. This is one effed up book, but in a good way! Laura is a character that everyone will love to hate but the ending was a little unsatisfying for me, I wanted to see her suffer more! "'My boyfriend could get into trouble if he gets caught. He could go to jail.' I moan softly. 'So could I.' 'Anything you tell me is completely confidential.' I sigh deeply. What have I got to lose? 'I wouldn't know where to begin.' 'At the beginning?' she says. 'In your own words.' So that's what I do. I start at the beginning like she says. The day I met Suzie. 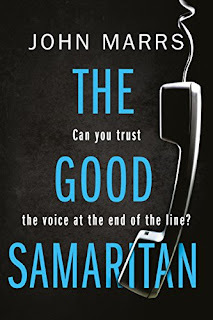 Indigo (Indie) rings the samaritans. She is frightenedd and desperate with on one to turn to. Over the course of one long night, Indie tells her story to the person on the end of the phone. 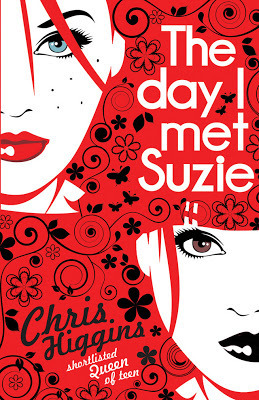 She realises that her friend Suzie has taken over her home, her friends, her work, her boyfriend- and her life. After every few chapters, we are brought back to the present moment, and see how piecing the story together helps Indie progress towards resolution." This was good but probably my least favourite of December. I think I'm too old for this book, but obviously I'm not the target audience. 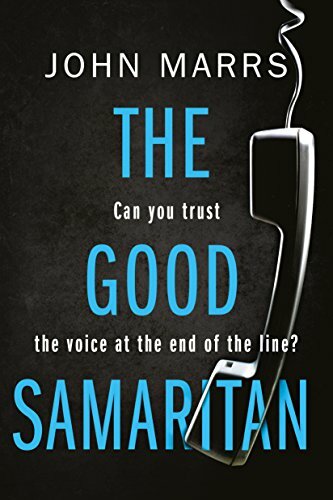 This would be best for early teens rather than young adult but the writing was good and the way the story is told through Indie's phone call to the samaritans is executed very well. "Your husband goes out to buy a newspaper. He never comes back. Months later, an unexpected phone call puts you and your daughter in unimaginable daughter. Even if he were still alive, your husband can't save you now. He yold you way too many lies for that." I like that the synopsis on this is short and sweet. I went into this with almost no expectations and ended up loving it. It was easy to see where this was heading plot wise but there were twists and turns along the way and the conclusion made the journey worth it. On the back of this, Samantha Hayes is an author I definitely want to read more of. "The perfect daughter. The perfect girlfriend. The perfect murder? Jenna is given another shot at life when she receives a donor heart from a girl called Callie. Eternally grateful to Callie and her family, Jenna gets closer to them, but she soon discovers that Callie's perfect family is hiding some very dark secrets... Callie's parents are grieving, yet Jenna knows they're only teller her half the story. Where is Callie's sister Sophie? She's been 'abroad' since her sister's death but something about her absence doesn't add up. And when Jenna meets Callie's boyfriend Nathan, she makes a shocking discovery. Jenna knows that Callie didn't die in an accident. But how did she die? 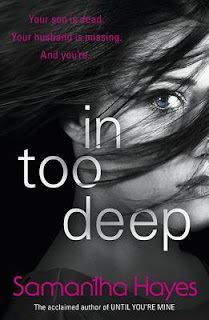 Jenna is determined to discover the truth but it could cost her everything; her loved ones, her sanity, even her life." Louise Jensen is an author who has appeared fairly regularly. 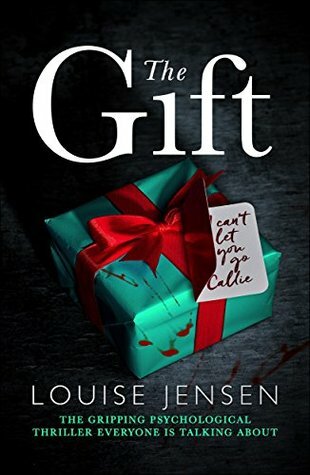 I'd already read The Sister and The Surrogate, so reading The Gift was a no brainer. This is probably my second favourite after The Sister and was a rollercoaster read. Louise Jensen is up there with my favourite authors now, any future book releases of hers will always to on my to read and if you haven't read any of the three books I've mentioned, I recommend you get your mitts on them! 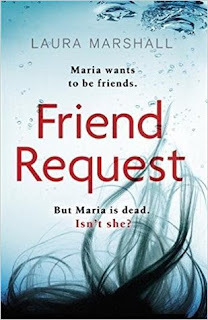 "Maria Weston wants to be friends. But Maria Weston is dead. Isn't she? 1989. When Louise first notices the new girl who has mysteriously transferred late into their senior year, Maria seems to be everything the girls Louise hangs out with aren't. Authentic. Funny. Brash. Withing just a few days, Maria and Louise are on their way to becoming fast friends. 2016. 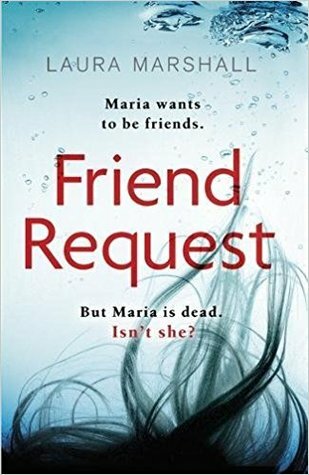 Louise receives a heart-stopping email: Maria Weston wants to be friends on Facebook. Long-buried memories quickly rise to the surface: those first days of their budding friendship; cruel decisions made and dark secrets kept; the night that would change all their lives forever. Louise has always known that if the truth ever came out, she could stand to lose everything. Her job. Her son. Her freedom. Maria's sudden reappearance threatens it all, and forces Louise to reconnect with everyone she'd severed ties with to escape the past. But as she tries to piece together what happened that night, Louise discovers more to the story than she ever knew. To keep her secret, Louise must first uncover the whole truth, before what's known to Maria- or whoever's pretending to be her- is known to all." This is Laura Marshall's debut novel and also my favourite novel I read in December. The novel flips between 2016 and flashbacks to Louise's schooldays in 1989. This was such a great read one I can't recommend highly enough. I didn't see the twist at the end coming at all, it was such a surprise. What a book to finish 2017 on! You can check out my previous What I've Been Reading posts by clicking here. What were you reading in December? Have you read any of these before? If you have any recommendation, be sure to pop a comment on this post so I can check them out. Glossybox VS. Birchbox, January 2018.